The Volta saddle is perhaps the most striking saddle in Fizik’s lineup, at once familiar and stunningly different. It’s deep flanks harken back to the days of the Selle San Marco Supercorsa or Selle Italia Turbo, yet the Volta’s visual lines are brutishly simple and sharp, as if Fizik had extracted and purified the essence of cycling in the 1980s. Fizik is a brand that appeared less than two decades ago under parent company Relle Royal; the new flagship brand fuzed the latest technology and materials with innovative style, and promptly joined companies like Selle Italia and Selle San Marco as a marquee name in the high-end of the market. Fizik models such as the Alliante became trendsetters, while the Arione is destined to be a Fizik signature for decades to come. Fizik rode to success with modern designs that all fully embraced the aesthetic of lightweight and low-profile shell as displayed by the Selle Italia’s slightly earlier saddle Flite, a smash success in its own right. But not every rider has found a happy perch atop these low profile, ultra-modern seats like a Doritos chip dusted with foam padding. Is there something about the ergonomics of those older designs? Or have the 1980s finally become a stylistic touchstone for cycling, a Golden Age of Cycling for the millennials? Yet while Selle San Marco and Selle Italia are restarting production on the revered favourites from the past, newcomer Fizik had to invent their own retro “classic”. And thus became the Volta. 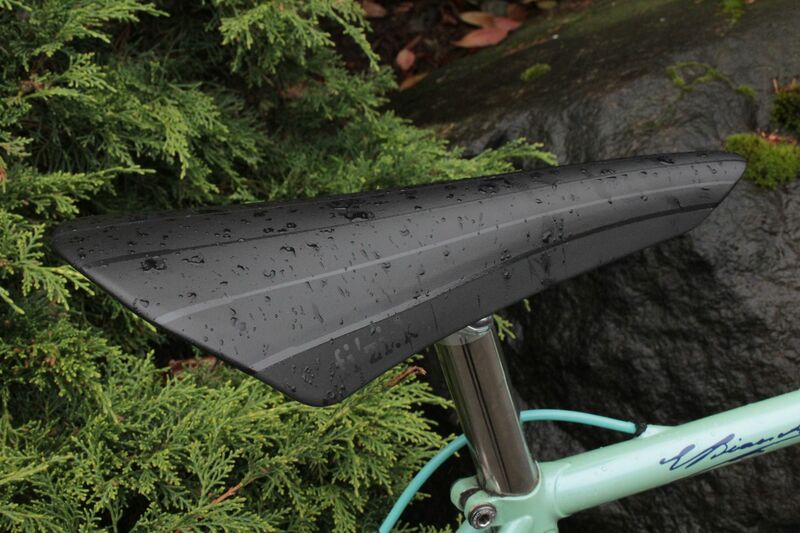 While consciously echoing the aesthetic of another era’s saddles, the Volta R1 is thoroughly modern in construction. The carbon composite shell straddles Fizik’s proprietary “Mobius” rail, formed by one uninterrupted loop of carbon that is riveted to the shell (the 2015 Volta R3 has “kium” metal rails). 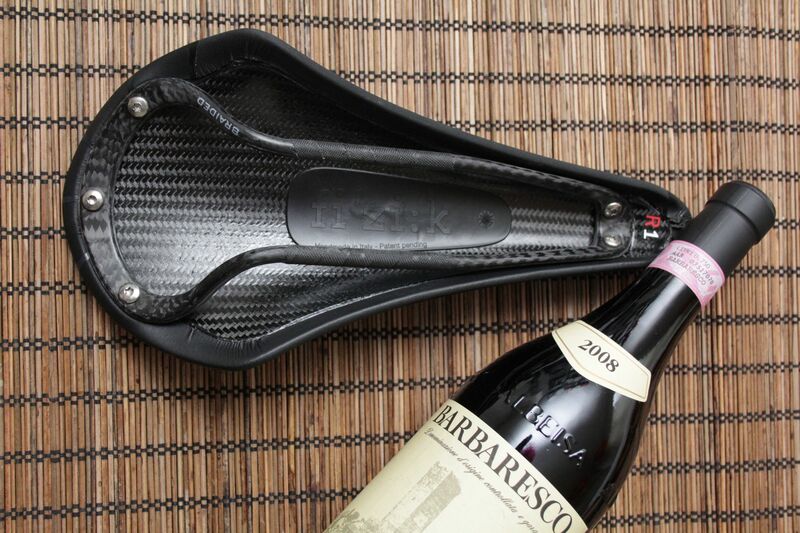 The shell has a relieved central section where a more pliable plastic takes the place of the carbon, to reduce pressure in the perineum area without relying on bulky padding. The microtex (a microfibre material) takes the place of leather, covering a thin layer of dense foam. 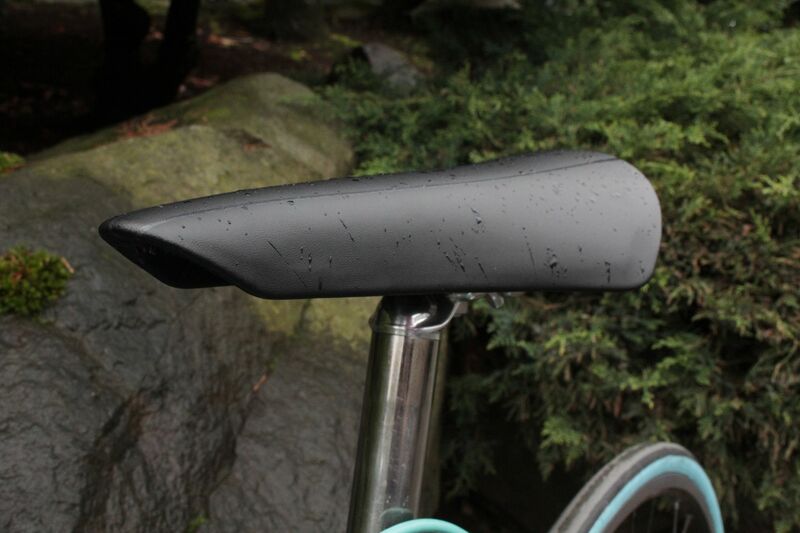 In profile, the vintage saddle that the Volta most closely resembles is the Selle San Marco Rolls, having moderately deep flanks with a virtually flat upper line (no sag along the back nor kick at the tail). Like the Rolls, the Volta is well rounded laterally from the nose all the way back. However the Rolls flares wide from the centerline abruptly midways along the saddle length. In contrast, the straight-lined Volta looks almost a perfect triangle from above; the broad nose leads back to a moderate width at the rear flank. The flexible sides drop down just low enough to obscure the rails from view, but the saddle still weighs a meager 181gr, less than the original Flite that started the low-profile trend. I’m going to be upfront about my riding impressions of the Volta: I really wanted to like it, I did in fact hate it. When people ask me about looking for a new saddle, I always advise them to pay attention to the characteristics of the saddles they’ve liked in the past. 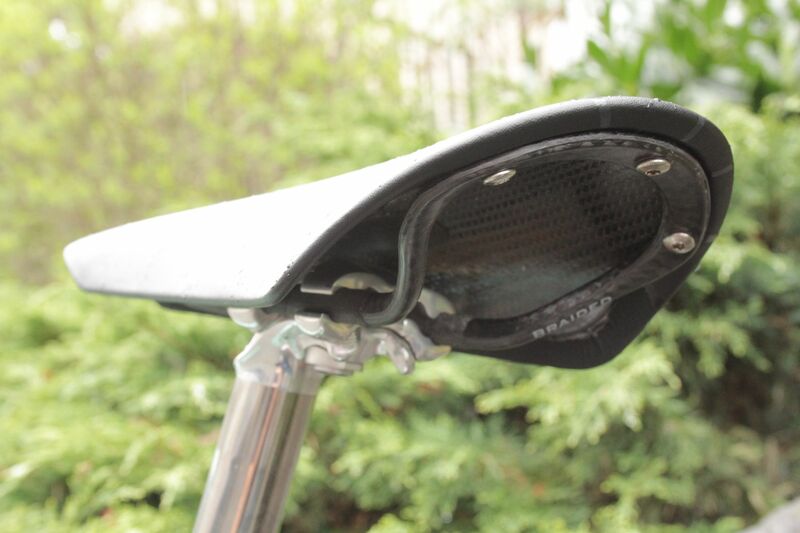 All the saddles I’ve found some success with had the same flat profile as the Volta, but they were more squared off across the top rather than the Volta’s domed shape. At this point all of my bikes have ended up with Arione saddles, which are long, flat, squared off, and have a gentle flare at the flanks. This shape allows me to scoot around on the saddle rather than being limited to one distinct “sweet spot” along the length of shell. But atop the Volta, rather than feeling that I could comfortably move fore or aft to alter how I was pedaling or change my upper body position, it just felt like I was sitting on a traffic cone that I had mounted sideways on the seatpost. Sliding back on the saddle just wedged more material between my thighs rather than better supporting my “sit bones”. And despite what other reviewers have written, I did not feel like the Volta offered anything at the back to push against. Maybe if the Volta was a little more flared at the flank or perhaps swept up at the back, then I would not have felt like I was going to slide off the back edge of the saddle. Sitting on this saddle was like being lost on an open plain: I never knew where I was and never was any place where I wanted to be. 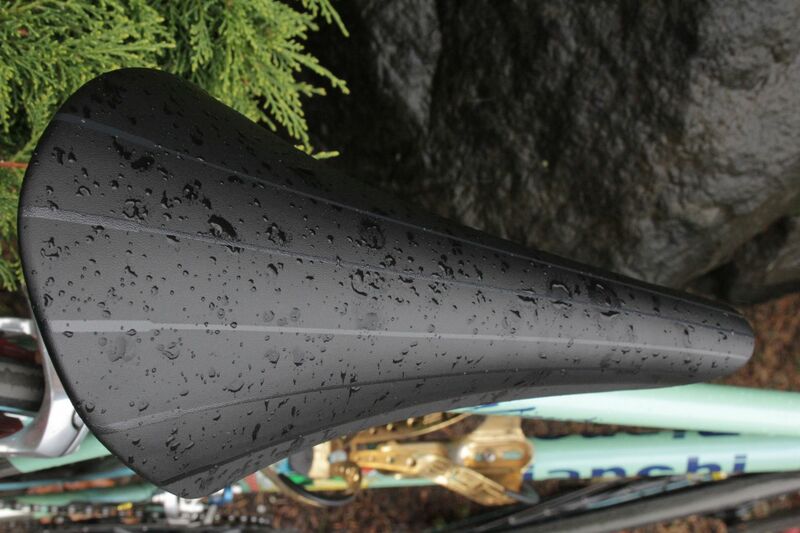 This isn’t to say that the Volta doesn’t deliver on its promise to fit like those classic saddles of yesterday. If I reveal the fact there are no classic saddles that suit me either, one could argue that my displeasure with the Volta implies that this saddle actually may suit riders who can’t find what they want in the low profile saddles of today. However, I will caution that there is much more to the shape of a saddle than whether or not the shell obscures the rails from view. This is most definitely not an Arione with shorter tail and deeper flanks. At $300 with the Mobius carbon rail ($200 for the R3’s kium rail), the Volta R1 would be a costly experiment in style for most riders. It also seems like an odd duck within the Fizik saddle line because it does not easily slot into their “Spine Concept”, in which saddles are marketed to three categories of riders, differentiated by their posture and riding style. 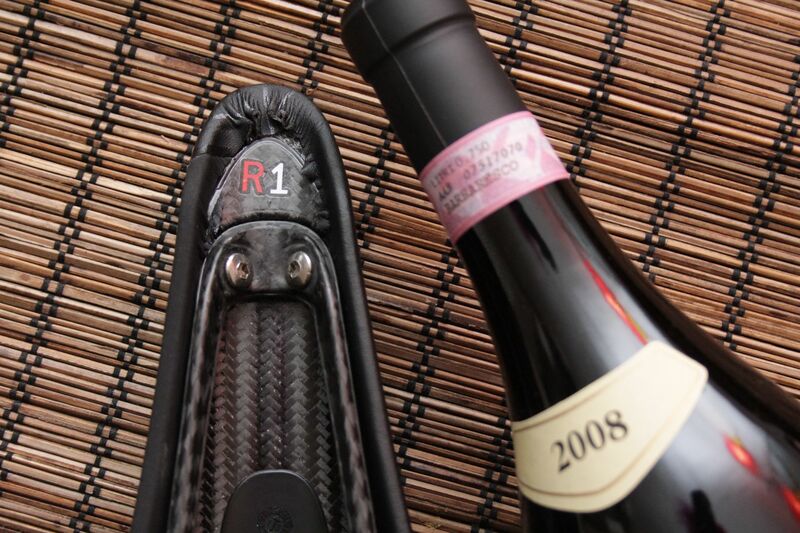 Saddle preference is a distinctly personal thing, arrived at with experience and long miles. It is good to experiment a lot if you are unsatisfied with your current perch. And if what you discover at the end of your search is something that looks beautiful atop your bicycle, then so much the better. 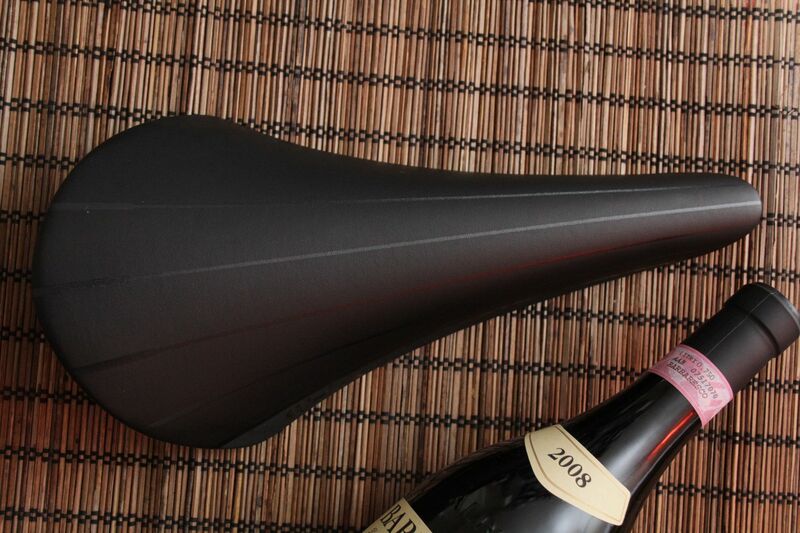 The Volta R1 was not that saddle for me.